Create air pockets to prevent mud sticking between the blocks. 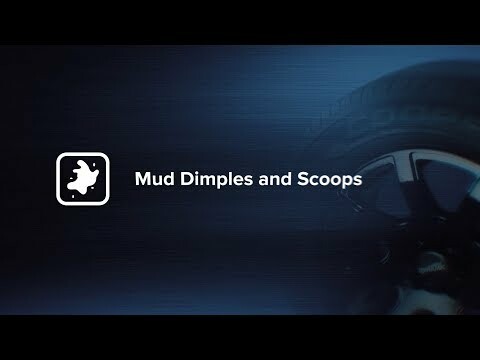 This gives you exceptional mud, dirt, rock and gravel traction. Dampens the impact generated by inconsistent terrain. This gives you greater flexibility and an even smoother ride. 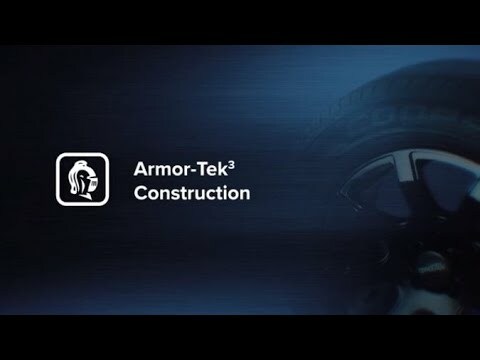 Armor-Tek3 provides 50% MORE protection* against impact damage and 2.5 times MORE tear resistance. *Compared to standard 2-ply tyres. Micro gauge sipes enhance traction in wet and soft surfaces. This gives you enhanced stability and mileage. Raised rubber ribs and angled groove walls work together to eject stones and gravel from the tread. This gives you a reduced chance of stone retention, while improving grip. SHAUNO SMASHES THROUGH THE BUSH IN THE 30!